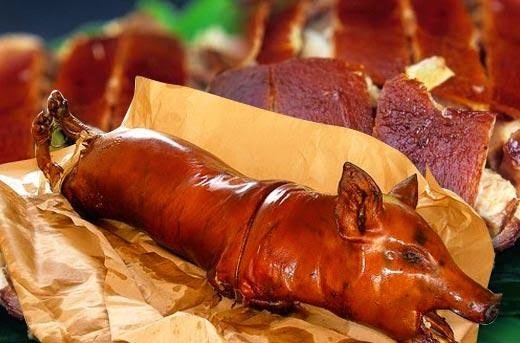 Lechon a.k.a Roasted Pig is almost always the star for every Filipino celebration. The classic menu when it comes to leftover however is the Lechon Paksiw. Although it is certainly delicious, it can be boring to eat the same dish every time we have lechon leftovers. Here are 3 recipes I love to make at home when I have some roasted pig leftovers. Saute onion for 2 minutes or until soft. Add in minced garlic, tomatoes, onion, salt, and pepper. Stir. Cook for 5 to 6 minutes in high heat. Transfer to a serving plate. You can squeeze lime or calamansi and add hot sauce if desired. Heat up your leftover lechon using a microwave oven or toaster. Set aside. 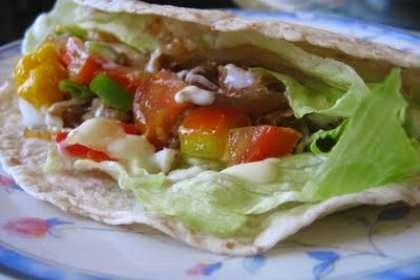 Heat flour tortilla on a frying pan or in a microwave oven. Wrap a piece of lettuce and lechon strips in a flour tortilla. You can add in tomatoes and spring onions depending on your taste. Allow to boil and cook until mixture slightly thickens. If your left-over lechon has bones in it, scrape the meat off the bone and set the meaty portions aside. Boil lechon chunks in a pot with water or rice wash. Simmer for 15 minutes for the soup to be infused with the flavor of the lechon. Add the tamarind juices/instant tamarind soup base.Stir. Add fish sauce, taro/gabi and horseradish. Simmer for 5 minutes. Add okra and simmer for another 2 minutes. Add the Swamp Cabbage and simmer for another 2 minutes. How about you? What's your favorite leftover lechon recipe? 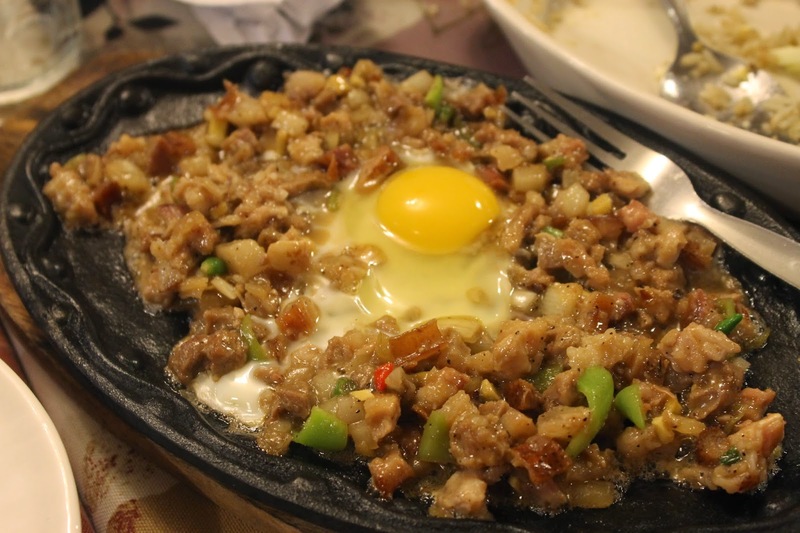 I didn't know we can make sisig out from lechon. I like lechon paksiw in the morning. Thank you for sharing the recipe. This are really tasty alternatives for lechon. I also like it cooked as lechon pacsiw. 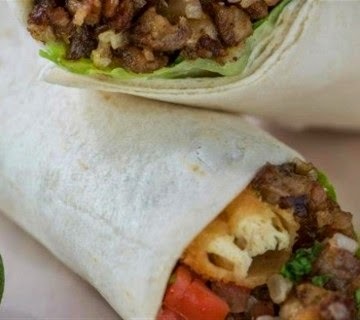 I am familiar with lechon paksiw, maybe I will try the lechon wraps for a change. 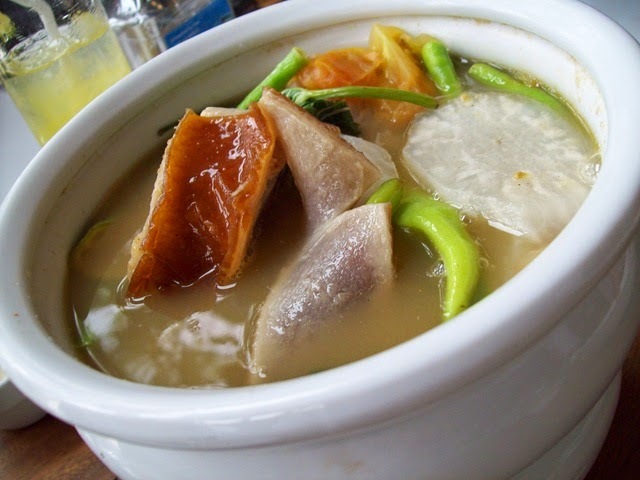 I've never thought about putting lechon in sinigang! It does certainly look tasty. mewants! Gosh! I'm getting super hungry right now. I don't know when was the last time I ate lechon. Sinigang lechon, masubukan nga yan. First time to hear about Sinigang na Lechon, I wonder how it will taste. These are three creative recipes that are perfect to prepare when gathering with families. I guess they are classic examples of great Filipino dishes.